The Regional Director shall dispose of the application under sub-section (4) within a period of sixty days and before passing its order may satisfy itself that the alteration has the consent of the creditors, debenture-holders and other persons concerned with the company or that the sufficient provision has been made by the company either for the due discharge of all its debts and obligations or that adequate security has been provided for such discharge. Where an alteration of the memorandum results in the transfer of the registered office of a company from one State to another, a certified copy of the order of the Central Government (Regional Director) approving the alteration shall be filed by the company with the Registrar of each of the States within such time and in such manner as may be prescribed, who shall register the same, and the Registrar of the State where the registered office is being shifted to, shall issue a fresh certificate of incorporation indicating the alteration. 3. Send three copies of the notice to each stock exchange where the securities of the company are listed. 4. Hold the general meeting and pass the special resolution .The matter is covered under the business transacted by postal ballot. (If Applicable, follow the procedure). (a) Proceedings of the general meeting as required by the Listing Agreement. 6.File certified true copy of the special resolution in Form MGT – 14 within thirty days of passing of the resolution with the ROC along with the explanatory statement annexed to the notice of the general meeting and the prescribed filing fee. 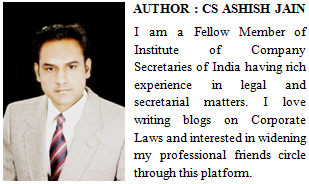 (ix) a copy of board resolution or Power of Attorney or the executed Vakalatnama, as the case may be. (ii) the nature and respective amounts due to them in respect of debts, claims or liabilities. 9. The applicant company shall file an affidavit, signed by the Company Secretary of the company, if any and not less than two directors of the company, one of whom shall be a managing director, where there is one, to the effect that they have made a full enquiry into the affairs of the company and, having done so, have formed an opinion that the list of creditors is correct, and the estimated value as given in the list of the debts or claims payable on a contingency or not ascertained are proper estimates of the values of such debts and claims and there are no other debts of or claims against the company to their knowledge. 10. There shall also be attached to the application an affidavit from the directors of the company that no employee shall be retrenched as a consequence of shifting of the registered office from one state to another state and also there shall be an application filed by the company to the Chief Secretary of the concerned State Government or the Union territory. 11. 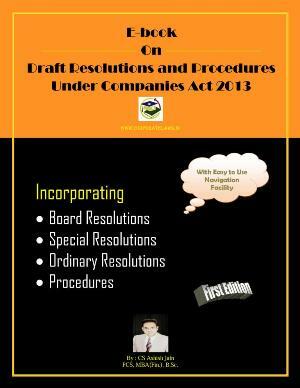 A duly authenticated copy of the list of creditors shall be kept at the registered office of the company and any person desirous of inspecting the same may, at any time during the ordinary hours of business, inspect and take extracts from the same on payment of a sum not exceeding ten rupees per page to the company. 12. There shall also be attached to the application a copy of the acknowledgement of service of the application with complete annexures to the Registrar and Chief Secretary of the State Government or Union territory where the registered office is situated at the time of filing the application. (iii)serve, by registered post with acknowledgement due, a notice together with the copy of the application to the Registrar and to the Securities and Exchange Board of India, in the case of listed companies and to the regulatory body, if the company is regulated under any special Act or law for the time being in force. 14. Where any objection of any person whose interest is likely to be affected by the proposed application has been received by the applicant, it shall serve a copy thereof to the Regional Director on or before the date of hearing. 15. Where no objection has been received from any of the parties, who have been duly served, the application may be put up for orders without hearing. 16. Before confirming the alteration, the Central Government shall ensure that, with respect to every creditor and debenture holder who, in the opinion of the Central government, is entitled to object to the alteration, and who signifies his objection in the manner directed by the Central government, either his consent to the alteration has been obtained or his debt or claim has been discharged or has determined, or has been secured to the satisfaction of the Central Government. 17. The Central Government may make an order confirming the alteration on such terms and conditions, if any, as it thinks fit, and may make such order as to costs as it thinks proper. 18. The shifting of registered office shall not be allowed if any inquiry, inspection or investigation has been initiated against the company or any prosecution is pending against the company under the Act. 19. The certified copy of the order of the Central Government, approving the alteration of the memorandum for transfer of registered office of the company from one State to another, shall be filed in Form INC -28 along with the fee with the Registrar of each of the States within thirty days from the date of receipt of certified copy of the order. 20. The change of address of the registered office shall be effective from the date of issue of registration certificate by the Registrar of Companies of the State to which the registered office is shifted. 21. File Form INC – 22 containing Verification of registered office, along with the filing fee and copy of the special resolution. 22. Issue a general notice by way of an advertisement in newspaper(s) informing the members of the company all other concerned persons about the change of place of the registered office of the company so that they may address all future communications to the company at its new address. 23. Change the address of the registered office of the company on all items of stationery, letter heads, bills forms, invoice forms, sign boards, records, registers etc.